If only you could go back in time to your wedding day! Lisa TerKeurst suggests that you love your husband as you want him to love you. I wish I could go back in time to my wedding day! 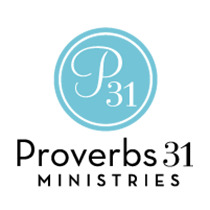 Hi, I’m Lysa TerKeurst for Proverbs 31 Ministries. Remembering back, I see a young couple that had no clue what the vows they took meant. It’s just what the pastor said so they repeated it. They felt in love. It felt right. But, time travel isn’t an option. So, I’ll just start from here and choose to love my husband the way I want him to love me. For more encouragement, visit proverbs31.org.